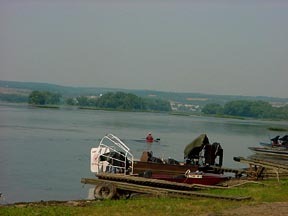 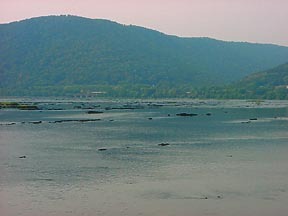 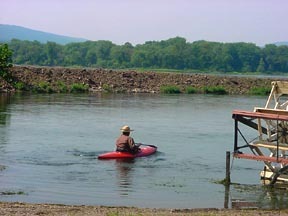 Paddling on the Susquehanna River at Millersburg September 14, 2002. 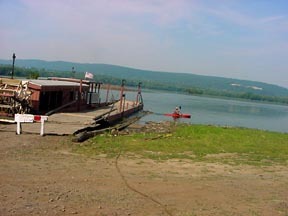 Paddling on the Susquehanna River at Millersburg September 14, 2002. 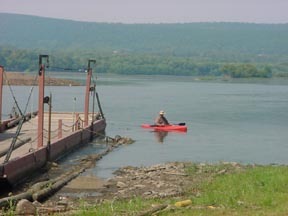 The river gauge at Harrisburg was 2.80 feet. 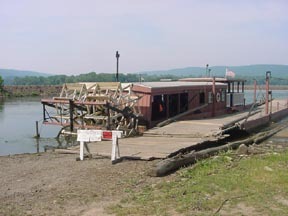 The water was so low that the Millersburg ferry was not operating. 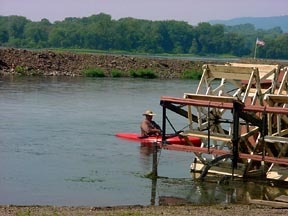 That is the lowest level I have paddled the Susquehanna River. 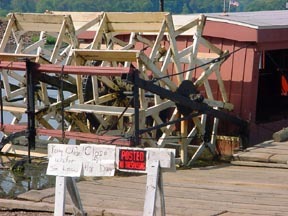 Too low for taking much of a trip. 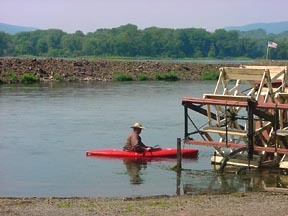 I paddle across the river and looked around the big chute for a while and then paddled leisurely back again. 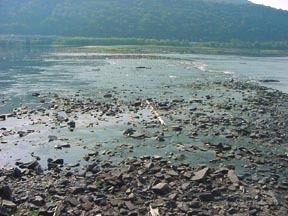 I found 1 golf ball.